Website builders and hosting services are in no shortage these days, providing anyone looking for a piece of Internet real estate with loads of options. From small businesses to bloggers, the need for easy and affordable website services has resulted in a bounty of platforms for building a brand new site. iPage and FatCow are two providers with a menu of hosting, email, and site building services. One thing to know right off the bat is that these providers afford a very similar selection of products, limiting the iPage vs. FatCow debate. Either choice presents access to the basics for setting up and running a successful site. The domain of a website helps make the URL easy to remember, if chosen wisely. Common domains include .com and .net. However, both iPage and FatCow also offer a large list of other, less commonplace domains that may help a Web address stand out from the pack. Domains including .associates, .network, and .dentist allow users to generate a URL that speaks more specifically to their industry. Whether a user wants to set up a blog or run a robust e-commerce website, it will need to be hosted on a server. FatCow and iPage both offer hosting plans for users who have or would like to utilize the WordPress platform and themes for their site. Alternatively, it is possible to purchase a Virtual Private Server (VPS) from iPage and FatCow, which provides benefits such as increased storage, guaranteed memory, and seamless cloud migration. After signing up for hosting services, customers gain access to an array of other website tools, regardless of whether they are using FatCow vs. iPage. Website builder capabilities, email, and marketing credits are among the features included with hosting. The costs associated with FatCow vs. iPage are tantamount, and the credits available by participating in affiliate programs are also similar. Both platforms’ affiliate programs require a website owner to put a banner or link on their website directing other consumers to the company’s services. 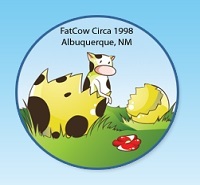 For instance, someone who hosts his blog with FatCow can put a banner promoting FatCow on his homepage. The banner will contain a unique affiliate link. Any time someone follows the banner back to FatCow and purchases hosting services, he is rewarded with a referral payment. iPage and FatCow also permit users to put an affiliate link in their email signature instead of installing a banner on their site. From hosting storage questions to upgrade needs, iPage and FatCow customers are bound to have questions about maintaining their site. Both platforms provide the same service options. An online help center provides user guides and a knowledge base filled with articles. Customers may also call a toll-free support phone line or use online live chat to speak with a representative. iPage and FatCow are both affordable for hosting and basic website services. For the blogger or other website owner who already has a functional website, or only wants to make minor changes, these platforms might be just what they’re looking for.